Randall Everett Allsup, Ed.D. is Associate Professor of Music and Music Education at Teachers College Columbia University in the City of New York. He holds a dual appointment as Professor of Music Education at the Arts College of Xiamen University, Xiamen City, Fujian Province, China. Randall earned degrees in music performance and music education from Northwestern University and Columbia University. His doctoral thesis, Crossing Over: Mutual Learning and Democratic Action in Instrumental Music Education was awarded “Outstanding Dissertation of the Year” by the Council on Research in Music Education. In 2009, he was awarded a Fulbright grant to teach and conduct research at the Sibelius Academy, Helsinki, Finland. Randall is the recipient of the Outstanding Teaching Award at Teachers College. With over 50 research publications and a book from Indiana University Press (2016) titled Remixing the classroom: Toward an open philosophy of music education, Randall has served on the editorial board of top tier journals such as the Bulletin of the Council for Research in Music Education, Journal of Research in Music Education, Music Educators Journal, Music Education Research, Philosophy of Music Education Review, and Research Studies in Music Education. 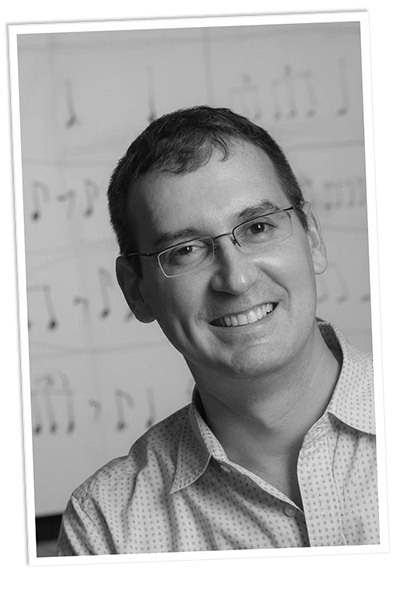 He is past chair of the International Society for the Philosophy of Music Education (ISPME) and the Philosophy Special Research Interest Group (SRIG) of the Music Education Research Council. Randall is the proud sponsor of 23 dissertations at Teachers College. Randall grew up among the cornfields of central Illinois, outside of Kankakee, and was the first in his family to graduate from college. Armed with a Pell grant and plenty of student loans, he attended Northwestern University as a saxophone major, studying with the legendary Fred Hemke, and later with Jean-Marie Londeix at the Bordeaux Conservatory, France. Randall’s interests in issues surrounding social justice and democracy were sharpened by coursework with Maxine Greene at Teachers College and his work in schools in under-resourced neighborhoods of New York City, teaching music at Cardinal Hayes High School in the South Bronx and through the Our Children’s Foundation in west Harlem. In 2006, Randall hosted and organized the first-ever “International Conference on Music Education, Equity, and Social Justice” at Teachers College. Today, he remains a passionate advocate of the transformative affects of public schooling and arts education. Randall writes about the challenges of reconceptualizing music pedagogy, with a special interest instrumental and popular music. His teaching and scholarship is shaped by great thinkers like Maxine Greene, Paulo Freire, and John Dewey. His articles appear in Bulletin of the Council for Research in Music Education; Philosophy of Music Education Review; Theory into Practice; Music Education Research; Music Educators Journal; Bluegrass Music News; School Music News; Visions of Research in Music Education; Teaching Music; Action, Criticism, and Theory for Music Education; Nordic Research in Music Education; Finnish Journal of Music Education; British Journal of Music Education; and Journal of Research in Music Education. Keynote Presentation: New Directions in Music Education. Michigan State University, February 16-18, 2017. Keynote Presentation: LGBT3 – The Third Symposium on LGBT Studies and Music Education, University of Illinois, May 19-21, 2016. Keynote Presentation: Fifth Annual Conference of the Society for Music Education in Ireland, Dublin Institute of Technology, Conservatory of Music and Drama, Dublin, Ireland, November 6-8, 2015. Keynote Presentation: Leading Music Education International Conference, London Ontario, May 28 – June 1, 2011. Keynote Presentation: 52nd MENC Eastern Division Biennial Conference, Baltimore, Maryland, March 31-April 2, 2011. Keynote Presentation: Conference on Music Learning and Teaching Center for Applied Research in Musical Understanding (CARMU), Oakland University, Rochester, Michigan, March 10-12, 2011. Cincinnati, Ohio, January 28, 2010. Hamar, Norway, November 13, 2009. Fulbright teaching and research award: Sibelius Academy, Finland, 2009 – 2010. Outstanding Teacher Award: Teachers College Columbia University, 2006. Allsup, R. E. (in press). Fractured (fairy) tales: In search of transformational spaces in music education. Bulletin of the Council on Research in Music Education. Shieh, E. & Allsup, R. E. (2016). Fostering musical independence. Music Educators Journal, 102 (4): 30-35. Allsup, R. E. & Lewis, J. (2015). A reappraisal of Bennett Reimer and his meanings of art. Philosophy of Music Education Review, 23 (2): 168-182. Allsup, R. E. (2015). The eclipse of a higher education or problems preparing artists in a mercantile world. Music Education Review, 17 (3): 251-261. Allsup, R. E. (2015). Music teacher quality and the problem of routine expertise. Philosophy of Music Education Review, 22 (1): 5-24. Allsup, R. E. (2014). A place for music education in the humanities. Music Educators Journal, 100: 71-75. Allsup, R. E. & Liu, C. (2013). A conversation between travelers: an expanding vision of music education. 旅人间的对话：扩展音乐教育的视野。Chinese Journal of Aesthetic Education, 4 (1), 1-7. Allsup, R. E. (2012). The moral ends of band. Theory into Practice, 51 (3), 179-187. Allsup, R. E. (2012). Music education and human flourishing: a meditation on democratic origins. British Journal of Music Education, 29 (2), 171-179. Allsup, R. E. & Westerlund, H. (2012). Methods and situational ethics in music education. Action, Criticism, and Theory for Music Education, 11 (1), 124-48. Allsup, R. E. (2011). Sequoias, mavericks, open doors . . . composing Joan Tower. Philosophy of Music Education Review, 19 (1), 24-36. Allsup, R. E. (2011). Classical musicians and popular music: strategies and perspectives. Music Educators Journal, 97 (3), 30-34. Allsup, R. E. (2010). On pluralism, inclusion, and musical citizenship. Nordic Research in Music Education, Yearbook 12, 135-155. Allsup, R. E. (2009). A conversation on the realities of music teaching: On the very pleasure of the unexpected and strange. Visions of Research in Music Education, 14, 1-3. Allsup, R. E. (2009). Rough play: music and symbolic violence in an age of perpetual war. Action, Criticism, and Theory for Music Education, 8 (1), 35-53. Allsup, R. E. & Benedict, C. (2008). The problems of band: An inquiry into the future of instrumental music education. Philosophy of Music Education Review, 16 (2), 156-173. Allsup, R. E. (2007). Democracy and one hundred years of music education. Music Educators Journal, 93 (5), 52-57. Allsup, R. E. (2006). Species counterpoint: Darwin and the evolution of forms. Philosophy of Music Education Review, 14 (2), 159-174. Allsup, R. E. (2005). Hard times: Philosophy and the fundamentalist imagination. Philosophy of Music Education Review,13 (2),139-142. Allsup, R. E. & Baxter, M. (2004). Talking about music: Better questions? Better discussions!. Music Educators Journal, 91 (2), 29-33. Allsup, R. E. (2004). Imagining possibilities in a global world: Music, learning, and rapid change. Music Education Research, 6 (2), 179-191. Allsup, R. E. (2003). Praxis and the possible: Thoughts on the writings of Maxine Greene and Paulo Freire. Philosophy of Music Education Review, 11 (2), 157-169. Allsup, R. E. (2003). Transformational education and critical pedagogy: Examining the link between culture and learning. Music Education Research, 5 (1), 5-12. Allsup, R. E. (2003). Mutual learning and democratic action in instrumental music education. Journal of Research in Music Education, 51 (1), 24-37. Allsup, R. E. (2001). Music education as liberatory practice: exploring the ideas of Milan Kundera. Philosophy of Music Education Review, 9 (2), 3-10. Allsup, R. E. (1997). Activating self-transformation through improvisation in music teaching. Philosophy of Music Education Review 5 (2), 80-85. Allsup, R. E. (1997). From Herscher to Harlem: A subjective account. Music Educators Journal, 83 (5), 33-36. Allsup, R. E. (2015). Another perspective: Our ‘both/and’ moment. Music Educators Journal. 102 (2): 85-86. Allsup, R. E., (2011). Music teacher preparation and curriculum in Finland. School Music News, 75 (3), 50-51. Allsup, R. E., (2005). Stress and the music teacher: Preventing burnout. Teaching Music, 12 (5), 50-54. Allsup, R. E. (2005). The democratic band room: An alternative approach. Bluegrass Music News 57 (1), 22, 42-45. Finnish Journal of Music Education: Special Edition: Reconstructing, Revitalizing Traditions, Volume 13, No. 2, Fall 2010. Editorial: “Revitalizing Traditions” pp. 6-7. Music Education Research: Special Edition: Music Education, Equity, and Social Justice, Volume 9, No. 2, July 2007. Editorial: “Music Education and Social Justice” pp. 167-168. Allsup, R. E. (2014). Epistemology and qualitative research in music education. In Conway, C. (Ed. ), Oxford Handbook of Qualitative Research in American Music Education. New York: Oxford University Press. 57-75. Allsup, R. E. (2013). The compositional turn in music education: From closed forms to open texts. In M. Kaschub and J. Smith (Ed.s), Composing Our Future: Preparing Music Educators to Teach Composition. Oxford & New York: Oxford University Press. 57-70. Allsup, R. E. & Westerlund, H. (2012). Through simple discovery . . . Tanglewood II: Summoning the Future of Music Education. Chicago: Gia Publishers. 191-208. Allsup, R. E., Westerlund, H., & Sheih, E. (2012). Youth culture in secondary education. In G. McPherson & G. Welch (Ed.s), The Oxford Handbook of Music Education. Oxford: Oxford University Press. 460-475. Allsup, R. E. & Olson, N. (2012). New educational frameworks for popular music and informal learning: Anticipating the second-wave. In S. Karlsen & L. Väkevä (Ed.s), Future Prospects for Music Education: Corroborating Informal Learning Pedagogy. Cambridge, UK: Cambridge Scholars, 11-21. Allsup, R. E. (2009). Philosophical perspectives in music education. In H. Abeles & L. Custodero (Ed.s), Critical Issues in Music Education: Contemporary Theory and Practice. New York & London: Oxford University Press, 39-60. Allsup, R. E. (2009). Choosing music literature. In H. Abeles & L. Custodero (Ed.s), Critical Issues in Music Education: Contemporary Theory and Practice. New York & London: Oxford University Press, 215-235. Allsup, R. E., Barnett, A. & Katz, E. (2006). Musical Heritage: Celebrating families through music. In C. Frierson-Campbell (Ed. ), Music in the Urban Classroom, Vol 2: Teachers, Leaders, Partnerships, Reform. Reston, VA: MENC, 123-136. Allsup, R. E. (2004). Of concert bands and garage bands: Creating democracy through popular music. In C. Rodriguez (Ed. ), Bridging the Gap: Popular Music and Music Education. Reston, VI: MENC, 204-223. Allsup, R. E. (2016). “The Enchanted Empire: An Essay Review of El Sistema Orchestrating Venezuela’s Youth by Geoffrey Baker” Music Education Review, 18 (3), 332-334. Allsup, R. E. (2006). Book Review: Eric Prieto, “Listening In: Music, Mind, and the Modernist Narrative” (Lincoln, NE: University of Nebraska Press, 2002), Philosophy of Music Education Review, 14 (1), 93-97. Allsup, R. E. (2005). The fifth element (or turning the dialectic on its head): A response to Estelle Jorgensen’s ‘Four philosophical models of relationship between theory and practice’. Philosophy of Music Education Review 13 (1), 104-107. Allsup, R. E. (2004). Book Review: MacDonald, Hargreaves & Miell, “Musical Identities” (New York: Oxford University Press, 2002) in Music Education Research, 6 (1), 129-133. Allsup, R. E. (2001). Review of RIME Conference, April 3-7, 2001, University of Exeter, UK, Music Education Research 3 (2), 255-256. In a delightfully self-conscious philosophical “mashup,” Randall Everett Allsup provides alternatives for the traditional master-apprentice teaching model that has characterized music education. By providing examples across the arts and humanities, Randall promotes a vision of education that is open, changing, and adventurous at heart. He contends that the imperative of growth at the core of all teaching and learning relationships is made richer, the less certain, when it is fused with a students self-initiated quest. In this way, the formal study of music turns from an education in teacher-directed craft and moves into much larger and more complicated fields of exploration. Through vivid stories and evocative prose, Randall advocates for an open, quest-driven teaching model that has repercussions for music education and the humanities more generally.